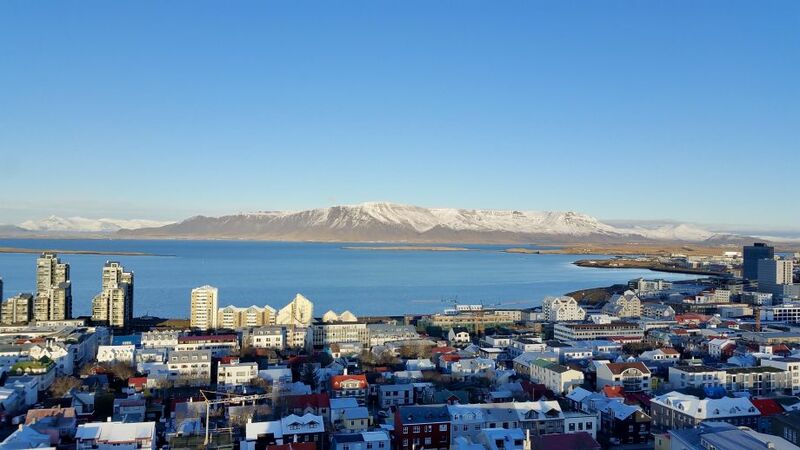 Through the Erasmus+ program, I had the opportunity to live in Reykjavík for one semester. Iceland had been one of my dream destinations for a long time and I was happy to finally see it come true. The University, Háskóli Íslands, is located on the west side of Reykjavík, close to downtown. I lived in the east side, 104 (Laugardalur), which has the biggest park in the whole city. The University of Iceland consists of many different buildings for each of their faculties, which are all located close to Háskóli’s student center. The School of Education, however, is located on the southern/central side of Reykjavík, which means that if you don’t study in Education solely, you must either walk or take the bus. I learned Icelandic at the university, which was really interesting, but not necessary at all. Nearly all people are fluent in English and all courses that you’re able to take are mostly in English too. Of course, I only mean “not necessary” in the sense of communication, as learning Icelandic was still quite fun, with it being one of the most difficult languages in the world. You’ll probably struggle to find your way at first – a lot! But the staff is very kind and if you were ever in need of any help, you could just go to the Service-Desk at the main building. As an Erasmus student, you didn’t need to register in Iceland meaning that you also won’t get a kennitala, an Icelandic ID. The advantages are not having to go through all the paperwork and expenses of applying for a kennitala. The disadvantage is that there are some things that you simply can’t do without a kennitala, like to join a gym. But don’t worry, you can still sign up at the university gym. Since I’m in the 7th semester, I had to do teaching practice for 3 weeks. I was very fortunate to find good connections during Welcome Day, which led to an offer to do my teaching practice in Skóli Ísaks Jónssonar, a primary school that is located beside the School of Education. As my main focus in primary school education is media, I tried to use as much digital media as possible. Skóli Ísaks Jónssonar is well equipped as there were enough tablets for one classroom and a lot of other stuff that was new to me. Aside from teaching at the school, I also tried to help in crafts and went to the oldest swimming pool (Sundhöllin) with them. Not only did the children learn how to swim, but it was also mandatory. Unlike Austria, every child has to pass a test every year. I even got permission to be able to teach them how to swim. Although it caught me a little bit off guard, it was a nice experience nonetheless and something that I probably would’ve never gotten the chance at in our teaching practice in Graz. If you teach in Iceland, don’t worry about speaking Icelandic. The children will probably understand you well enough in English too, and when I asked why, an often-stated reason was… YouTube. Yes, YouTube. Because the content is nearly non-existent in Icelandic, children adapt to English early on. You will be surprised what those little pupils are capable of. Another important part of Erasmus is to travel around the country. Reykjavík is a beautiful city with a lot of tourism and attractive offers to explore this magnificent, yet little island. The tallest building will stick out as soon as you arrive, a big church called Hallgrímskirkja. You can do a variety of things such as whale watching, hiking, cave tours, or just simply rent a car and go by yourself or with others. I traveled a lot, not only by myself but also with other students and with the university. Iceland is breath-taking beautiful, and I’m very happy that I got to see all those amazing places. One of the things that will sting you are the crazy high prices, so you should prepare accordingly. These prices will be one of the first things you’ll encounter, probably even before you get to Iceland, at least if you get a place to live there before your arrival, unlike me. Prices during the summer can get very high due to tourism and Iceland not having the infrastructure to house all those people. I’ve seen prices for the worst hotel rooms for hundreds per night and monthly rents that went up to € 1.000, – for a single room in a shared apartment. One more thing to add on money: credit card. No one uses cash, and a credit card is often mandatory for payments, otherwise, you will struggle a lot. If you buy something, you should check out Bónus, as this supermarket chain is the cheapest by far. I made a lot of comparisons and you will get away with more savings at Bónus. Aside from the prices, I want to place emphasis on the weather and day & night cycle in Iceland. Bring waterproof clothes with you and forget umbrellas. The weather changes quite fast, and while I had weeks with nice weather, I had weeks with heavy storms and a lot of rain. If you decide to go there during the fall, you’ll have a nice start with lots of sun. Believe me, while the first two to three months will look nice, the day & night cycle will get to you during November. I took Vitamin D due to recommendations and still felt really bad on some days, so I can only recommend Vitamin D too. Regardless of all the issues, I was happy that I chose Iceland as my first Erasmus destination. I’ve seen nearly everything that I wanted and tried to participate as much in this culture as possible. If you take the student card, you’ll pay six months, and pay a little bit more. I used the subscription, but only because I wanted to walk the first few weeks to get my head around the whole city. To use the subscription, you’ll have to download the Straeto app. But you’ll have to do it anyways, as it comes in handy when you need to know your timetable and possible directions. As soon as the window of your application opens, you should refresh (F5!) the website and sent it in ASAP. Afterwards, you will probably get placed on a waitlist and hopefully not too far off. Another website that I would like to recommend is Rentmate. If you don’t get a room in the student dorm, this will be your best bet.